With Apaches on the prod, ex-cavalry sergeant Sean Keegan, bounty hunter Jed Breen, and ex-Texas Ranger Matt McCulloch take shelter in a West Texas way station—along with a hot-as-a-pistol female bound for the gallows, a spiteful newspaper editor, and a coward with $50,000 who promises them five grand if they’ll deliver his blood-soaked stash to his wife. 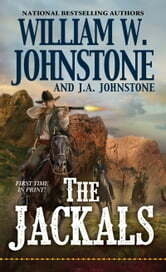 Turns out, Indians might be the least of the problems for the trio, soon to be known as the Jackals. The loot’s stolen property of the vengeful Hawkin gang, and these prairie rats are merciless, stone-cold killers. And the brother of the man the woman killed wants to butcher her himself rather than watch her swing. 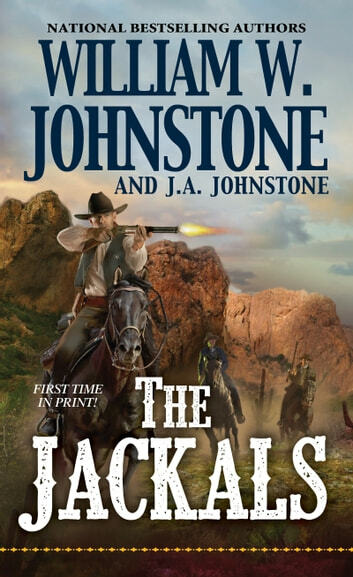 McCulloch, Keegan, and Breen are ready for a showdown—but the Jackals may not live to spend that $5,000.